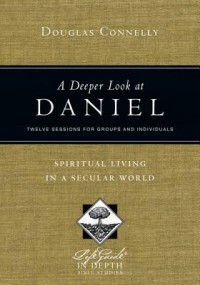 I really enjoyed this in depth look into the book of Daniel. The author not only gives you the scripture to study but gives you points in which to connect it to real life, alternate scripture & different view points. I love how he causes you to look deeper & at competing theories for what God is really being said. This did take me longer than 12 weeks but a lot of it was because it was so much to wrap my head around I had to take time to process & meditate on God's word. I loved it & I am encouraged to find more studies by this author.